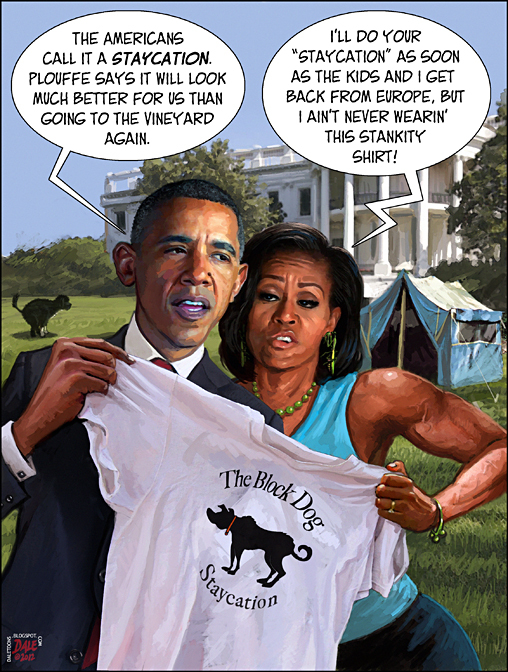 At least he can use those t-shirts for the "Black Dog Grill" next year. So far that's the only kind of business he has ANY experience with. 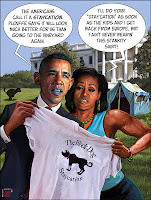 Of course if he runs it like the country, dog burgers won't be around long. His plan for increasing sales; raise prices! Dog, it's what's for Ramadan dinner. Great job Dale. I love the shameless promotion thrown in. We businessmen need to stick together. 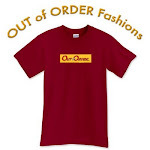 Did Obama design the T-shirts, or did he only design the World Wide Web so could advertize them? Odie, you know better. Al Gore invented the internet. The only thing Barry has designed is the downfall of America, and he stole that from Alinsky. Maybe Plouffe designed the shirt.